A clean roof can enhance the overall appearance of your house as well as increase its security and safety. We understand that surface preparation is vital in getting visual appeal and longevity in all paintwork. Our business always ensures everything is properly clean using high pressure washers with a minimum 3000 psi water pressure. After roof cleaning is completed, we wash down the outside of your home, and all paths and driveways. Stormproof Roofing offers a professional roof cleaning service which is part of our roof restoration procedure. Roof cleaning service can be also carried out as a separate task to give a fresh look to your roof. As one of the best roof cleaning companies in Melbourne, we remove all moss, algae, lichen and other deposits on all kinds of roofs. These unwanted elements can damage your roof tiles by causing leaks and blockages to gutters and downpipes. This can create other problems causing additional costs and repairs. We provide superior quality roof cleaning services and take the following steps to get the best roof cleaning results. We make sure that the roof is watertight. We replace broken tiles and flashing where necessary. Application of high water pressure cleaner. No bad chemicals used. Gutters are cleaned and debris removed. We provide complete rinse down of all gutters, walls, and pathways. We inspect and quote the required works for free, with no obligation. We have over 30 years of roofing maintenance and repair experience and we guarantee quality workmanship and professional service. 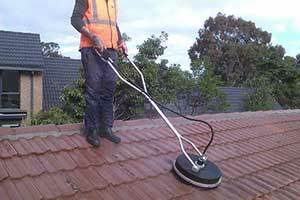 When you want a professional roof cleaning service, you can reach us on 03 9585 3744 or email us at [email protected].